John Bolt, Project Manager at Arlington Construction Services (ACS), is responsible for the management of new construction projects and rehabilitation projects throughout the Southeast. John plans and coordinates projects from start to finish and ensures that the projects are completed in a timely manner and within budgetary constraints, regardless of the size or extent of a project. John works in close collaboration with architects, subcontractors and owners on a daily basis to build quality construction defined by a straightforward approach and timely completion. Before joining Arlington Construction Services in 2015, John worked as an Assistant Project Manager in the multi-family division of an southeastern based construction company. John received his Bachelor of Science in Building Construction from Auburn University. 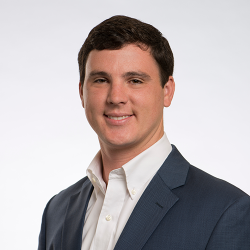 John is a member of Mountain Brook Community Church and is currently a member of the Alumni Association of the Phi Gamma Delta fraternity.